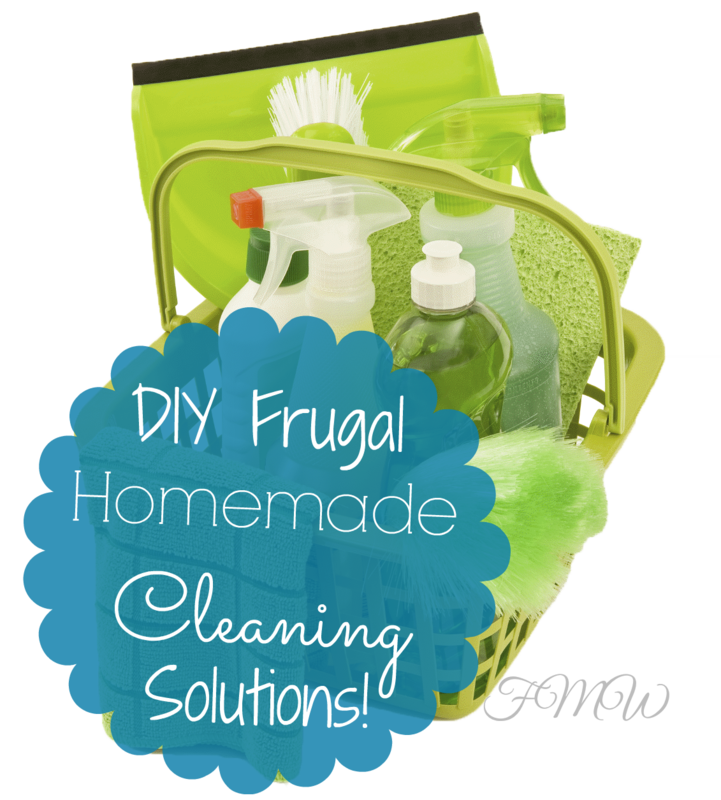 Frugal Mom and Wife: DIY Frugal Homemade Cleaning Solutions! Save Huge!! DIY Frugal Homemade Cleaning Solutions! Save Huge!! Tired of spending tons of money on harsh chemicals to clean your home? Many of the natural Eco friendly companies have the same basic ingredients in their cleaners. They won't share those with you (but I will), so here are a few basic cleaners to save tons of money!! Mix ingredients together in an empty spray bottle and use. Mix together in your cleaning bucket and use. Slightly damp your mop with mixture and use. Combine ingredients into a spray bottle and use. Pour the vinegar in your toilet and let it sit overnight. Clean with toilet bowl brush and flush. Sprinkle it on your carpet and let it sit for about 10 minutes. Vacuum up treated areas and viola! Dip the lemon into a bowl of kosher salt and scrub the glass shower walls. It's a cleaning agent and tool in one! Shake well and apply a small amount to a cleaning cloth. Spread over surface and then dry with a separate cloth. apply to the tub, and let it sit for about 10 minutes. Wipe off with a wet cloth.